If you are planning a vacation to Great Britain you will probably have London, Stonehenge and Scotland on your itinerary. Scotland is certainly a beautiful country and worth a visit, but it is not the only picturesque part of the British countryside. If you are planning to head west of London to take in Stonehenge and Bath then you really should make a visit to a relatively unspoilt part of England just a little further west that is the county of Devon. The town is famous for the traditional afternoon English tea served with scone cakes and Devon clotted cream. Like Scotland, Devon has Celtic roots. It was known as Dumnonia during the Roman occupation and was inhabited by a Celtic tribe. It has had a rich history and features many surprises and wonders. For some of the most outstanding natural beauty in England you must visit the Exmoor and Dartmoor National Parks. Devon is the land of rugged tors that scatter the granite landscape and makes ones of the finest places for walking and hiking in the UK. Haytor is one of the most stunning of the tors, the top of which provides a view of most of the town on a clear day. Devon is steeped in history. 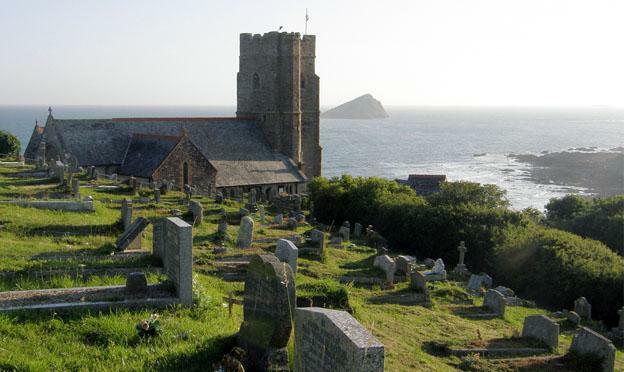 It has been inhabited since the Stone Age period and the landscape is littered with the remains of Neolithic settlements. 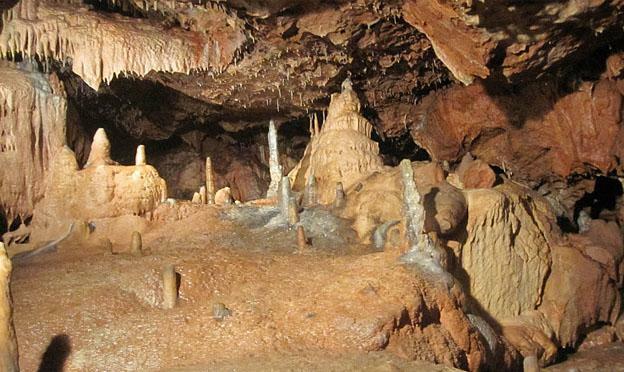 Kents Cavern on the coast at Torbay is home to one of the oldest known human settlements in the UK from around 6000 BC. Exeter is a fantastic city with many historic buildings. You should visit Exeter Cathedral which has the longest continuous medieval vault of any building in the world. In the summer you can also walk up to the roof for splendid views of the city. Like Scotland, Devon is also a golfers paradise. One of the finest courses is the Royal North Devon Golf Club just outside the beautiful seaside town of Westward Ho. The course was founded in 1864 and it the oldest golf course in England and is on par with Scotland’s St. Andrews. The Devon coast became extremely popular during the Victorian period and became known as the English Riviera, named after the French Riviera that had become a popular tourist destination for the British upper class during the 18th and 19th centuries. Improved railway connections meant that tourists could easily travel from London to the seaside resorts that are peppered along the Devonshire coast. 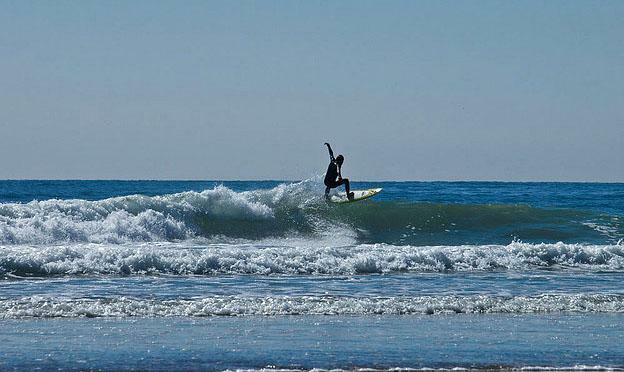 Devon can also lay claim to some of the best surfing in the UK. Croyde Bay on the North Devon coast is a very popular surfing spot due to its hollow powerful low tide waves which provides world-class beachbreak waves. Further north from Croyde Bay in Woolacombe Bay is another popular surfing destination with mid-tide sandbanks that crate powerful waves. If you just wish to find some great beaches for swimming with the family then a trip to Blackpool Sands is a must. It is a privately owned beach with lifeguards, a beach cafe and shop. The waters are often a deep turquoise blue which give it a Mediterranean feel. There are many activities on the beach that cater for all age groups. Devon has so much to offer in a relatively small space. Smaller than Scotland but packed with as much history, picturesque scenery, beaches, gold courses and of course the English afternoon cream tea. Westward Ho! is an excellent place to base yourself to explore the town, especially if you enjoy a round of golf. The national parks provide many visitor attractions for families and adventurers. Devon really is a perfect location for a British vacation. If after all that you are not tempted by Devon as an alternative stop off on your UK tour, consider this: The South West of England is the warmest and sunniest region of Mainland Britain. On average Plymouth in Devon is 2 degrees Celsius warmer and enjoys almost 300 hours a year more sunshine than Edinburgh does. Dan Jackson is a travel writer with a love of the UK. He is currently working with the Westbeach, a development of luxury holiday apartments in Devon to spread the word about this lovely part of the world.